I am happy to announce the release of my first digital Fine Art Photobook on iBooks Store! Gems of Namibia is a beautiful photographic journey to the most famous and iconic places of Namibia. Each page reveals another of the surreal and beautiful landscapes of the Namib and Kalahari Deserts. Gems of Namibia brings to life the majestic dunes of Sossusvlei, the quiver trees and stark salt pans of Deadvlei, and the eerie abandoned mining town of Kolmanskop. The collection ends with breathtaking photographs of the night sky over Namibia, one of the last truly dark places in the world. 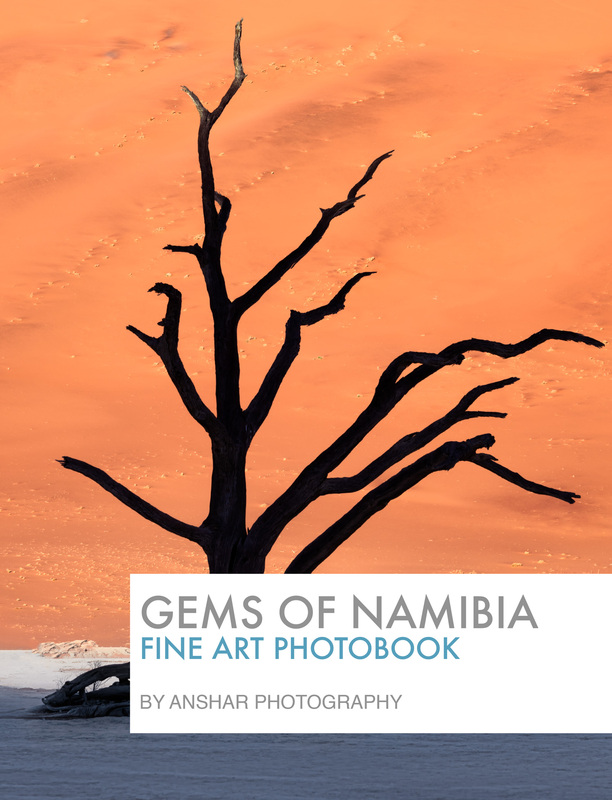 Focused on nature and landscape art, the book contains 25 pages with exquisite fine art images from Anshar Photography Namibia Fine Art Collection, compiling my works of photographer and the result is a fine art book that captures the otherworldly spirit of Namibia’s deserts. Gems of Namibia digital Fine Art Photobook is available on iBooks for $4.99. This entry was posted in Publication and tagged Africa, Namibia.